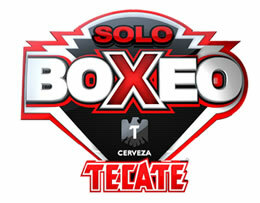 In next week’s edition of “Sólo Boxeo Tecate,” Golden Boy Promotions and Don Chargin Productions team up to present a special homecoming bout featuring Eloy “Prince” Perez (21-0-2, 5 KO’s) as he defends his NABO junior lightweight belt against Daniel Jimenez (20-3-1, 12 KO’s) in a 10 round bout at the Salinas Sports Complex in Salinas, Calif. The co-feature of the “History in the Making” event will see San Diego’s James Parison (14-1, 4 KO’s) facing off against Paul Mendez (6-1) of Delano, Calif. in a six round middleweight fight. For more information on Golden Boy Promotions visit www.goldenboypromotions.com, follow us on Twitter at www.twitter.com/GoldenBoyBoxing, or become a fan on Facebook at www.facebook.com/GoldenBoyBoxing. For more information on 8 Count Productions visit www.8countproductions.com, follow us on Twitter at www.twitter.com/8_Count or become a fan on Facebook at www.facebook.com/8CountProductions.